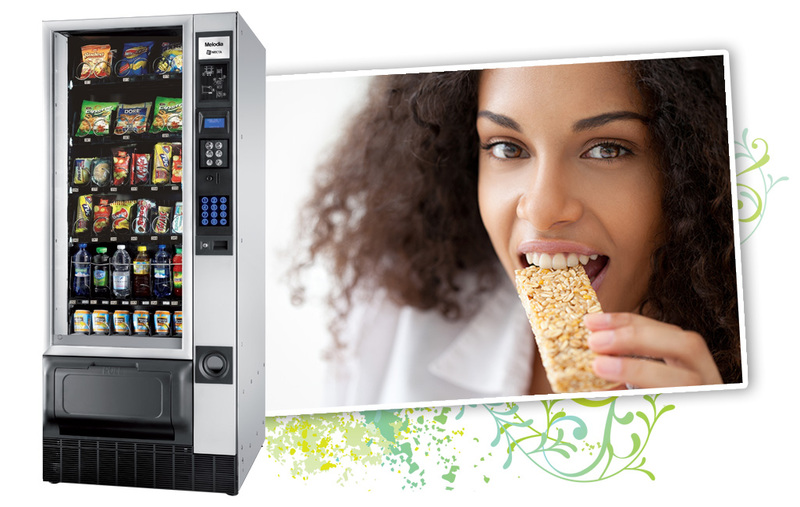 The Melodia snack and cold drink machine has slender proportions but still displays and vends a large selection of snacks and drinks. Particularly suited to locations where space is limited, the Melodia is both flexible and reliable that integrates into most environments. The Melodia can be sited flat against a wall due to its front air ventilation. It has a touch-sensitive keyboard giving the user visual/acoustic feedback on the selection. Different heights of bottle can even be displayed in the same tray. The Melodia is an environmental friendly model fitted with ground breaking “green” features.